Shift’s Retail POS System is an easy to use tablet based point of sale solution designed to help small businesses run more efficiently and grow their bottom line. 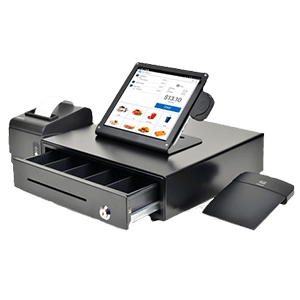 It’s a complete Point of sale solution that makes taking payments painless, by capturing key business information and delivers all the benefits of more expensive Point of Sale systems without the high Point of sale price tag. Shift’s Retail POS Systems also offer a free app, which lets you manage your customer and social media marketing easily from a central location. Shift helps drive your business. We keep our per swipe fees low because we feel that merchants that keep more money will be able to grow their business faster. When you win, Shift wins. Set up your new storefront Point of sale solution and start taking payments in the time it takes you to brew a cup of coffee. Email receipts to your customers for even better customer service. Access your business data from any internet enabled android device, even on the beach! Manage transactions, inventory, profitability, and customer information even when you’re on the go. Advertise your business with the included marketing suite. Create coupons, sales templates and track promotions all with ease. Don’t pay extra for high priced marketing tools, let us include that for you absolutely free! Our systems have unlimited SKU’s that can be entered, so the sky is the limit! Don’t be tied down with a maximum amount of items your register can handle, add new products whenever you need to with Shift. Track your customer data easily with Shift custom solutions. Our systems are built with easy to understand reporting and charts that will help you keep existing customers while bringing in new ones. You may qualify for a free Retail Point of Sale system! Click here to find out if you qualify for a free system. I like the sound of free! Shift Processing has one of the most advanced POS Systems on the market, and we are proud of the feature set of our products. Check out some of the key features below. With the Shift Retail POS System, credit card processing is already built in so you don’t have to worry about an extra terminal sitting beside your POS System. Always have enough headroom for wherever you take your business in the future. With unlimited inventory built into the system, you are always ready for whatever is thrown your way. Ensure that you can deliver your receipt in the format most preferred by each customer you encounter. Email the receipt and add them to your mailing list! ​Every payment that you take is secure end to end so you never have to worry about your data being at risk. Protect your customer data like you want your data to be protected. ​Employees today are used to a touchscreen environment, and the Shift Storefront POS Solution gives employees the familiarity that they know and expect. Help your employees help you.